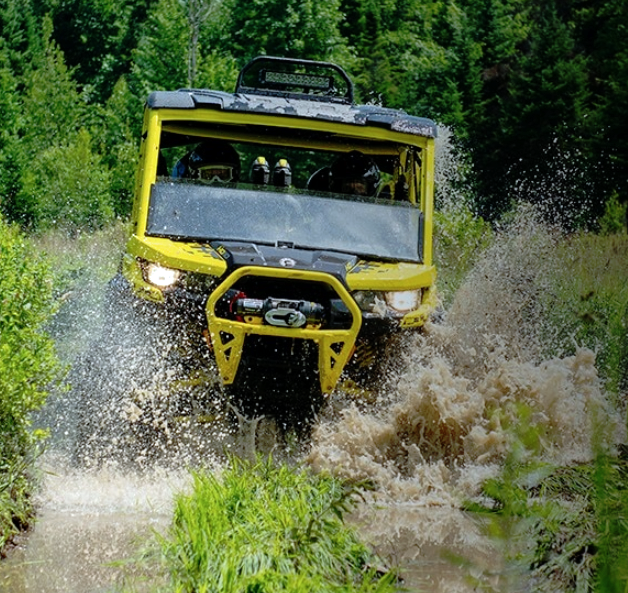 2019 Can-Am Defender Max Xmr. UTV Side by Side mudder for six. Mud and Swamp Specialist with seating for six. 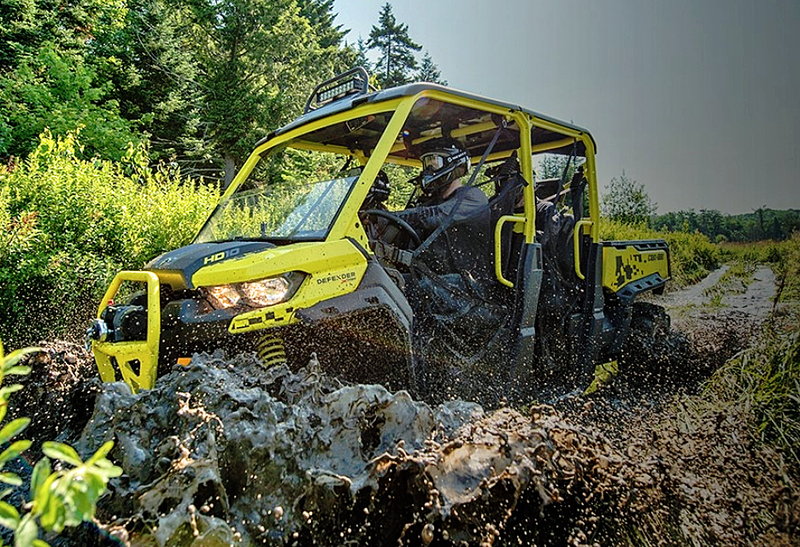 New for 2019 Can-Am Defender Max Xmr brings more mud riding capability to the six seat UTV category. 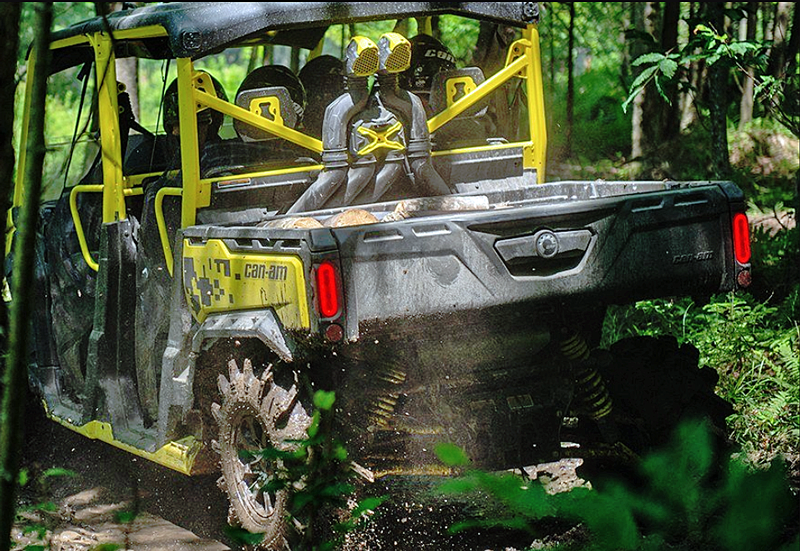 Polaris gets some competition for six seat mudder utility models. Front and rear diff locks with special mud and trail settings. Raised winch mount helps keep it out of the muck. 72hp Rotax V-twin engine. Liquid cooled, electronic fuel injection with computer controlled throttle. 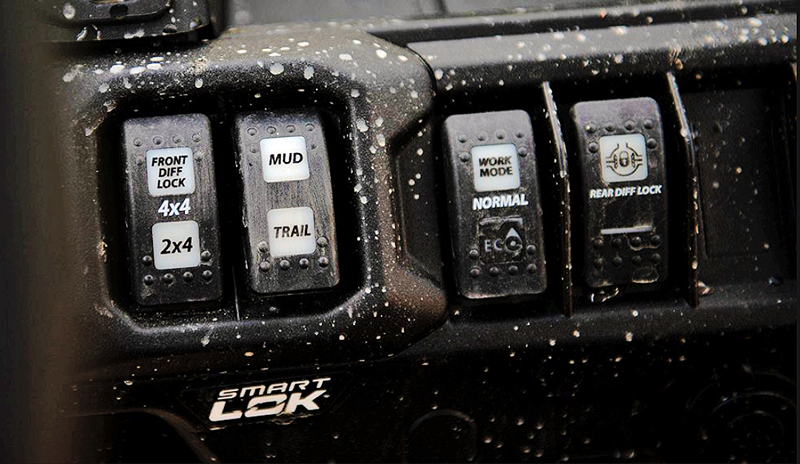 (intelligent throttle control - iTC). CVT transmission with electronic drive belt protection. Storage - under dash, waterproof and removable box under passenger seat, In dash, water resistant tool box, cup holders. 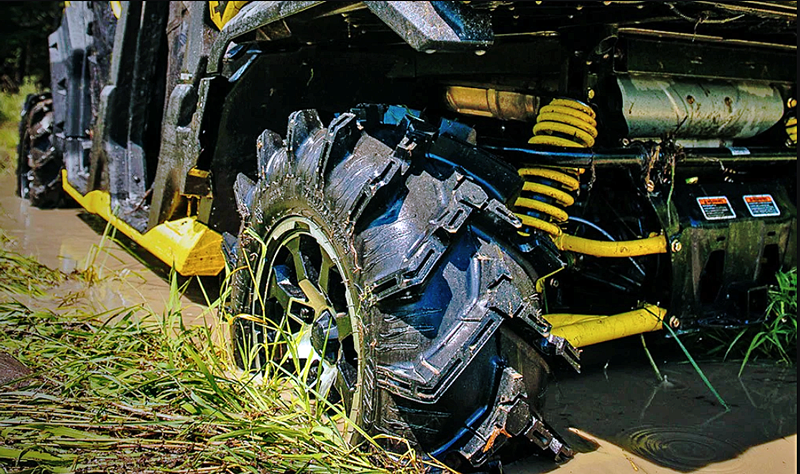 Xmr package includes deep lug mud tires, aluminum rock sliders, and arched control arms. Defender Max Xmr - mud riding for six. 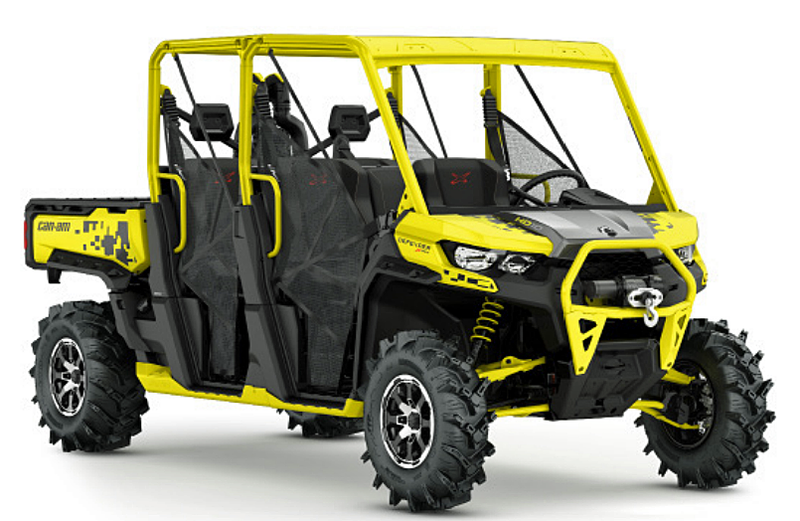 Conclusion - The 2019 Can-Am Defender Max Xmr shows that Can-Am is willing to compete with Polaris in the specialty model category. If you're looking for a six passenger side by side for mud and swamp, now you have a choice. $20,799 MSRP base price.